How to Write 47/4 as a Decimal? 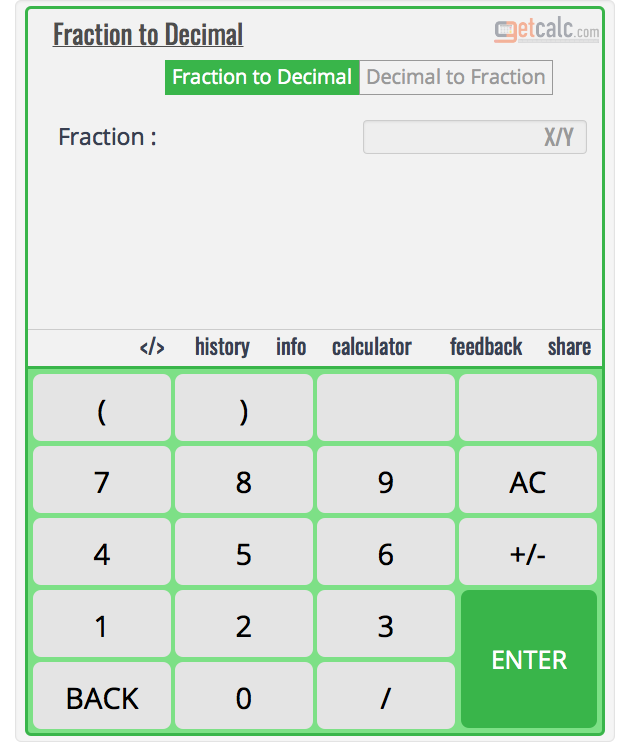 getcalc.com's fraction to decimal calculator to find what's an equivalent decimal for the fractional number 47/4. 11.75 is a decimal and 1175/100 or 1175% is the percentage for 47/4. How to Find Equivalent Decimal for 47/4? The below workout with step by step calculation shows how to find the equivalent decimal for fraction number 47/4 manually. step 1 Address input parameters & values. what is 15/16 as a decimal? what is 3/16 as a decimal? what is 14/16 as a decimal? what is 9/32 as a decimal? what is 5/32 as a decimal? what is 3/32 as a decimal?